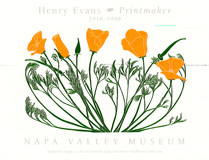 The poppies reproduced are from a linocut in the Napa Valley Museum's collection of California Native Wildflowers by Henry Evans. 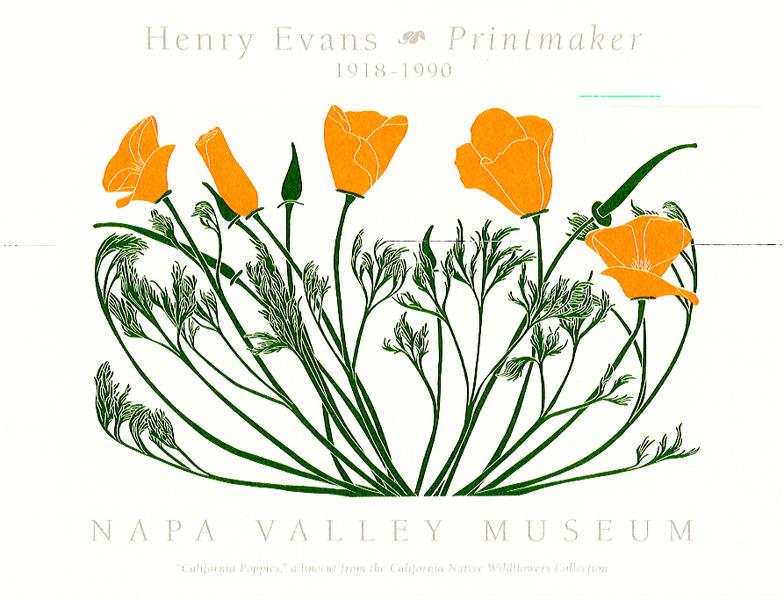 This fine art poster measures 18 x 24 inches and is printed by offset lithography on acid free recycled 80# cover text paper. $25.